Two new poetry books to help me start the year. I want to read more poetry this year. 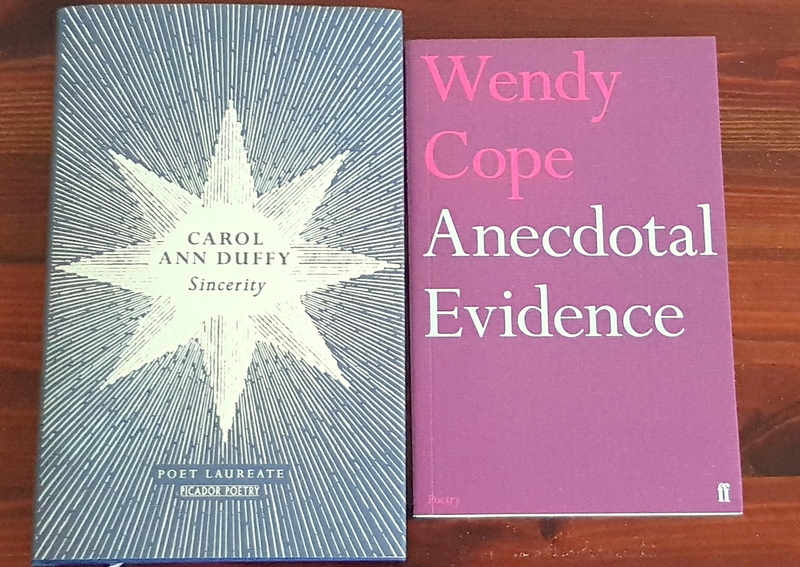 I find that easier to do when I have the physical books in front of me, so today I bought the latest books by two of my favourite poets: "Sincerity" by Carol Ann Duffy and "Anecdotal Evidence" by Wendy Cope. 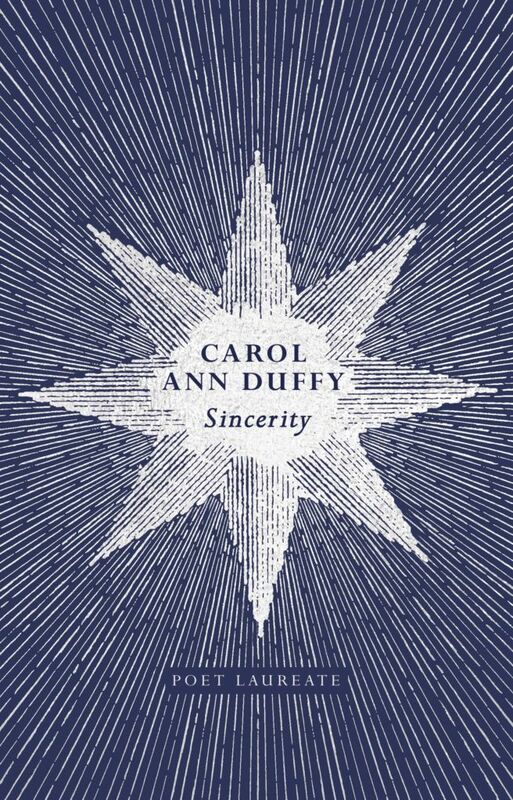 "Sincerity" made more of a splash than most poetry books do. It's Carol Ann Duffy's last year as Poet Laureate and, in her words, her latest collection of poems was partly inspired by the "evil twins of Brexit and Trump". I bought the book because I liked the poem "Gorilla" which describes her face to face, albeit through glass, meeting with a Gorilla in Berlin Zoo. under a pelmet of wrath. Its mouth, an unliftable curse;"
"With a day's more evolution, it could even be President." "Mandrake Mymmerkin, welcome to the White House." That was enough to get the book carried to the cash desk. Skimming it now, I can see lots of stuff about Brexit that I'm sure I'll find cathartic, I'll review as I go along. It only took one poem of two verses to get me to buy this collection. It's called "Evidence". 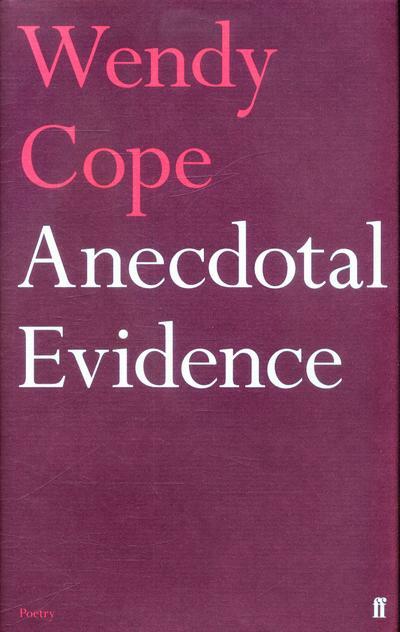 It starts with a quote from the "Daily Telegraph" in 2012 where a researcher claimed that "anecdotal evidence suggests that we respond positively to birdsong". "What's the use of poetry? I will savour her poems, allowing myself no more than one a day. I'm sure they'll tell me a lot about my heart and the hearts of others and make me smile, compassionately, as they do.